aestreion steel is the most acclaimed manufacturer, exporter, distributor and supplier of industrial ASTM A312 TP347 Stainless Steel Seamless Pipes & Tubes with required test certificates. 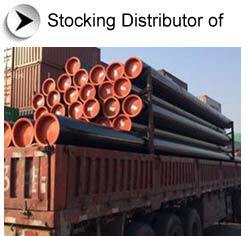 You can also Order small quantities, we will be happy to quote best price for small and large quantities & can typically deliver the ASTM A312 TP347 Stainless Steel Seamless Pipes & Tubes in minimum time frame anywhere around the globe. We supply ASTM A312 TP347 Stainless Steel Seamless Pipes & Tubes to Oil & Gas, Refineries, Fertilizers, Heat-Exchangers, Paper & Pulp, Pharmaceuticals, Chemicals, Water Treatment, Dairy, Sugar & Food Processing, Construction, Mining, Shipbuilding, Offshore, Defence, Ports, Railway, Nuclear Power, Power Plant, Cement, Government Org., Engineering Co., Oil Mills, and other industrial projects. ASTM A312 TP347 Stainless Steel Seamless Pipes & Tubes have to arrive safely, quickly and without damages at their destination in any part of the world. Packing is also an essential part of quality assurance.